Visit the Bossier Arts Council this month through Sept. 30 to see the artwork of Caitlin Lindsay Rose in the Emerging Artist Gallery. Rose, a Shreveport native, has a unique talent as a painter and a performer. Finding influence in the experience of art, Rose is a live painter in an audio-visual band called Vela Nora. Through Vela Nora, she has performed over 100 live paintings. Meet the artist during BAC’s open reception 6 to 8 p.m. Aug. 11. Need an after school program for your student? Attend the open registration for the Plant A Seed in Our Youth Foundation from 4 to 6 p.m. Aug. 10 at 1325 Hamilton Circle. With a goal to influence children and help them to become viable, productive and well-rounded students, this program centers on faith, love and hope. Learn how to safely clean your firearm during this special class offered by DavTac Custom Arms and Ammo. 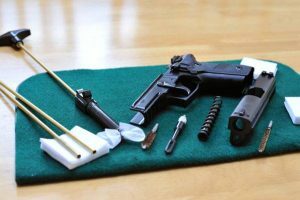 Find out how to take down a firearm, clean it and what should be cleaned. The course will also teach you what types of cleaning equipment, products and tools you need to keep your firearm working properly. Cost is $50 per person and a cleaning kit will be provided. Want to hear the story of a piano man? 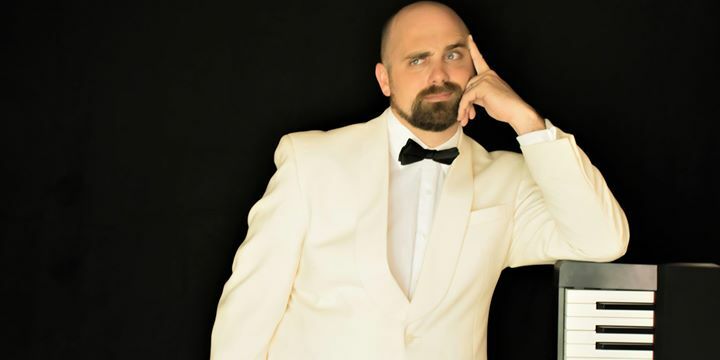 Don’t miss this special performance from one of Shreveport’s favorite storytellers. Award-winning piano entertainer Winston Hall shares the colorful tale of his unlikely rise as one of North Louisiana’s most popular performers. Hall offers a genuine and humorous examination of his lifelong pursuit of playing the piano. Showtimes are 7:30 p.m. Aug. 18,19 and 2:30 p.m. Aug. 20. Catch the last performance of The Haunting of Hill House, presented by the BPCC Communication and Performing Arts Division and the Cavalier Players. This dramatic production is a suspending study in mounting terror in which a small group are brought together in Hill House, a mid-Victorian mansion known as a place of evil. Led by Dr. Montague, who is conducting research in supernatural phenomena, the visitors have come to probe the secrets of the old house. 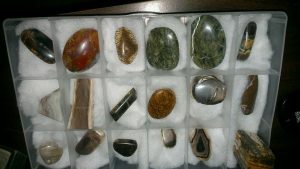 Ark-La-Tex Gem and Mineral Society Rock, Gem and Mineral Show will rock Bossier City! If you have ever been interested in the study of gems, minerals, fossils, beading, geology and the lapidary arts, don’t miss out on this show. This event is a great chance for family fun in Bossier City. Plenty of activities and demonstrations are offered including flint knapping, geode cracking, jewelry making demos and lectures. The third Monday in August is a special day for the United States, as our country will fall in the path of the total solar eclipse. On this day, America is the only country that will be touched by the eclipse’s path of totality. 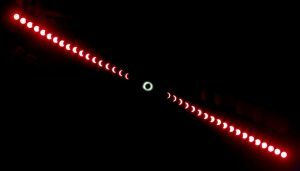 The last time a total solar eclipse happened was in 1979. Spend the day watching the eclipse at Twisted Root as it hosts a watch party. During 11:46 a.m. to 2:46 p.m. the restaurant will hand out complimentary eclipse glasses and offer two for one on all beers, wines, liquors and shakes during the party. Check out this new coffee shop in downtown Bossier City for a special new book club. Books and Brews: A Book Club for Adults follows the coffee type of “brew” as the club relocates to Rev 521 from Flying Heart Brewery. This book club will work in a different way from traditional ones. Instead of selecting one book for members to read, the book is based on a category. For August, members can choose a book to read with a number in the title. Book club meets the fourth Friday of every month at 6:30 p.m. You must be 18 or older to attend. Spend a Saturday supporting Holy Angels, a nonprofit providing a better life for individuals with disabilities, while fishing through Sportsman’s Paradise. Registration closes Aug. 23 however; you may register the day of the event. The cost to participate is $200 for a two-person team with a three bass limit. Fishing for Angels is not only an event for fishing but supports a day of family fun. And guests can cheer on participants as catch are weighed in. First place wins $5,000.